Logo Rosewood Mechanical Pencils and Maple Mechanical Pencils, Laser Engraved 0.9 mm lead. Packaged in Black Velvet Sleeve. Logo Rosewood Mechanical Pencils and Maple Mechanical Pencils, Laser Engraved 0.9 mm lead. Packaged in Black Velvet Sleeve. Spruce Goose Brand. 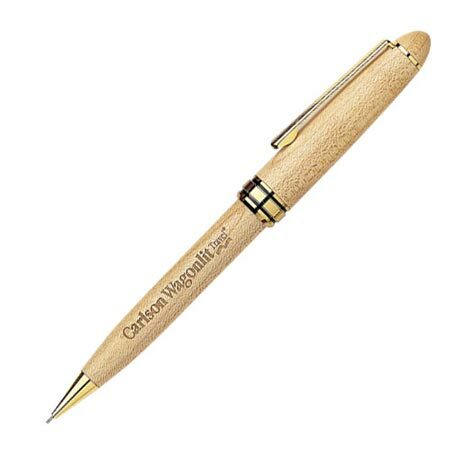 Quality mechanical pencils with natural wood finish (Maple or Rosewood) , personalized with your custom laser engraving. Discounted 25% from the regular price: Lowest prices in USA and Canada. American clients pay no taxes. Free artwork design and free proofs! Unit prices below include your laser engravingin one location. We also supply bulk blank (not personalized) Rosewood and Maple Pencils at EQP (End Quantity Pricing). - Refill: 0.9 mm lead pencil. 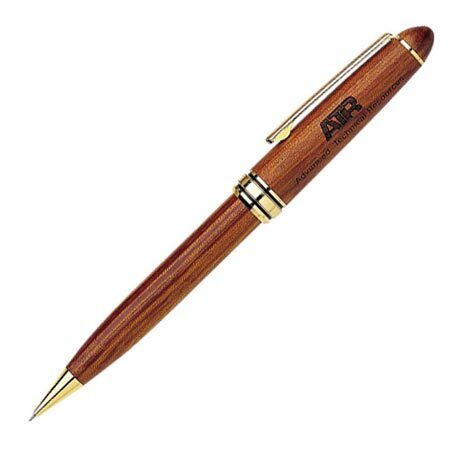 - Pen colors: (see photos): Rosewood, Light Maple. - GUARANTEE : We guarantee all Pencil for imprint quality and against manufacturer's defects. Your satisfaction is guaranteed.